You know you’re in for something good when a 1975 bottle of Lynch Bages is uncorked and is ready to drink right from the start. A lovely orange-red tinge through the crystal, and no signs of alcohol on the nose. I could detect some sweet dried red fruit, Chinese plums, with an herbaceous, spicy tail. As with most older vintage wines, it evolved to become darker and even more herbaceous, but remains very pleasant. The wine peaked in 20 to 30 minutes after uncorking, but still the tannins were very smooth and refined. The wine fell off a cliff at the very end – it only took minutes for the wine to feel alcoholic on the nose at that point. The 1975 should be the strongest vintage for the 70s – a time where Bordeaux produced little remarkable vintages as far as I’m aware. 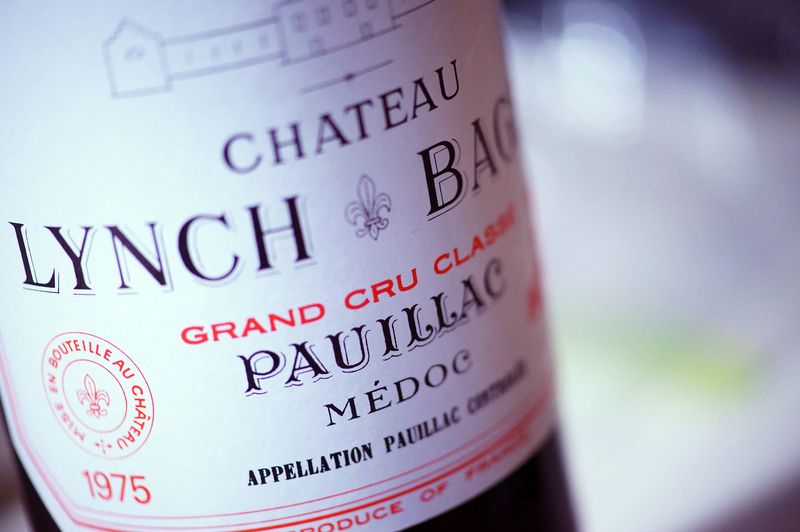 The ’75 Lynch Bages has definitely passed its peak, as one can notice the fruit, acidity and tannins are fading – no more time for it to be on the shelf, but nonetheless enjoyable. *Tasted on 25 Feb 2012. This entry was posted in Red Bordeaux, Wine and tagged 1975, bordeaux, lynch bages 1975, Lynch-Bages, old vintages, red. Bookmark the permalink.